Excuse the double post. Hows the legend with the papyrus? I do like the papyrus. However, the stones don't look right (not "sandy" enough? ), and honestly, I have no idea on a suggestion to make them look better, lol. I think you need to make the border regions different colors. I'm colorblind and can't tell the red and green apart. nolefan5311 wrote: I do like the papyrus. However, the stones don't look right (not "sandy" enough? ), and honestly, I have no idea on a suggestion to make them look better, lol. Will look into the stones. Surprised about the CB though. Will change after I find better stone. Why is it so big? It's 42 terts but just barely fits on a screen; can't it be made smaller? There are 80 tert maps smaller than this. What does it look like without the shadow behind the playable area? It has a bit of the Jakarta Effect. You could try putting a layer of random noise (or basically something with no patterns) behind the stone layer and trying some of the layer filters (like grain merge) on the stone layers. And you could try messing with the dodge/burn tool and see what happens. It can look quite different if you pick a weird brush or one of the blurry brushes, maybe set it to liek size 5.00 and just go over stuff a few times. Last edited by ManBungalow on Sun Feb 24, 2013 9:19 am, edited 1 time in total. Bung this on vacation for a while please guys. I am having trouble finding the time to work on it. Should get back to it in a few months though. Re: Classic Cities: Cairo [9/2][V13][P1/7]Vacation please. Amazing what a bit of time away can give. Next version of this map has no real gameplay changes from previous versions but I have taken what cairns said and reduced the region count a bit, giving some breathing room to the centre of the map. New look for the board. Changed colours for the borders. Lets bring this one out and get it moved on up please. isaiah40 wrote: Bunged on up!! Now let the fun begin ian. Here are the gameplay notes for all games. The map would need to be limited to 8 players now as some regions have been removed. Conditional borders depend on amount of territs held by players. Using starting positions, I will limit the neutrals on the map for 2 player games. All regions not coded neutral at the start will be part of this system (1982 map has it like this). A max of 11 will be handed out. So all not handed out will always start as a neutral 3. Winning Condition, Neutral 2, 5 in total. Bonus Multiplier, Neutral 1, 5 in total (so only one player can have it). These are based on the system set up in Austrum and Vertex. Hold 4 connected regions to get a +1. This will ensure a fair drop but will also dramatically alter the bonuses when players go from one conditional border to the next. The conditional borders will work on a system of continents. 4 will be made with every territory named in and a requirement of ???. These will be named as All borders open, Red borders open, Blue borders open. Only a clean up of the legend and other parts of the map. I thought we were trying to get away from the floating blob? Looks nice otherwise. Bruceswar wrote: I thought we were trying to get away from the floating blob? Looks nice otherwise. I kept trying different ways and in the end, I kept coming back to this. It may not be the most visually stunning piece of work but it is something that I like and the game play should more than make up for it. I'm liking it so far. But I'm a little disappointed that the most iconic site in Cairo is missing from this map. What if the pyramids were a sort of key to unlock the borders for the duration of the turn? Make it a killer neutral too. For example, let's say I have 15 territories, so red borders are locked, I snag Giza from the north and then all borders are open. For the duration of that turn, I am free to move about the map and do whatever. Next round Giza reverts to neutral 3 and I've lost my ability to move across the city as I please. Industrial Helix wrote: I'm liking it so far. But I'm a little disappointed that the most iconic site in Cairo is missing from this map. So how would that work, considering Giza is all the way to the left of the map? What regions could attack it? I do like the idea of having a key to unlock the map, maybe the pyramids of to the side, killer as you said but higher. Any region can attack it. Make the neutral high enough to stop early rounds getting it. Nope, I like it a lot now after typing this. Expect this on the map late tomorrow. Thanks IH. really nice idea. I am having trouble getting this to work Giza is not well connected so not suitable to have as an area that can attack the map. Anyone got any ideas on this or should I leave it now? It has to be worked in and you need to get rid of the floating blob look... Make it seem as if it is on a map! Bruceswar wrote: It has to be worked in and you need to get rid of the floating blob look... Make it seem as if it is on a map! It doesn't have to be worked in and I do not need to get rid of the blob look. Bruce, I am having trouble getting it in so if you have a suggestion on how, let me know. I spent 2 whole days trying to get it to work and nothing to show for it. As for the blob look, I like it. Always have and always will. And considering no one else is doing it, it does not make it a bad look. There is a reason nobody else is doing it I wish I knew how to them in for you, but I do not. If they cannot be worked in then I am sure people would be ok without them in. Bruceswar wrote: There is a reason nobody else is doing it I wish I knew how to them in for you, but I do not. If they cannot be worked in then I am sure people would be ok without them in. The pyramids where the first item I drew for this map, and had a great talk with Seamus and cairns over perspective, but in the end, they where a small part of Cairo that whilst everyone knows, is not the only part. IH who talked about the pyramids did a Cairo map a while ago and did not have them on. Who doesn't like the blob? In fact, everyone loves the blob. I actually love everything about this except the "blob" because of what the shape and texture reminds me of. Think about it haha, you'll see it too. 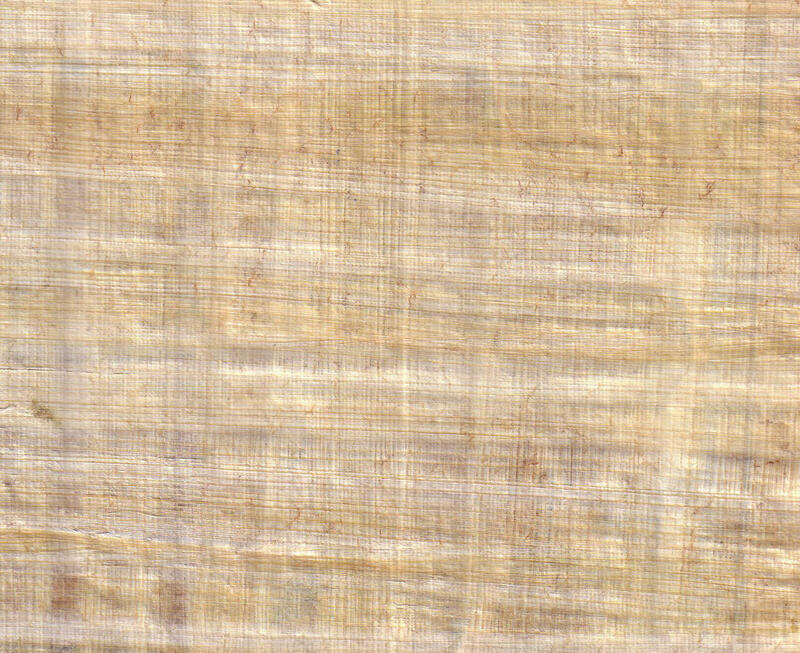 Since it is floating, you could possibly make it look like a piece of papyrus, torn into the shape of the map. Something of that nature. Just a shot in the dark idea, since papyrus is associated with ancient Egypt. OK, map can change again but before I do that, do I get any complaints about the game play? not so much a complaint as an observation. with any combination of 4 connected regions needed for a bonus, the open layout of this map, in contrast to vertex or austrum, makes the occasional large dropped bonus possible. as an example, islamic cairo plus its 5 blue-border neighbours gives +15, which is certainly gamewinning if dropped to player 1 in 1v1, while player 1 can reduce it to +5 by conquering one region if dropped to player 2. the original 5 regions for a +1 bonus lessens the consequences of such a lucky drop, with the +15 becoming +6 if dropped to player 1.
no-one has tried before the type of conditional border that u are using, based on region count, so u have to be applauded for innovation. have u considered the possibility of stalemate if player 1, who is losing and has no wish to attack, has garden city, fraggala and the 6 regions across the nile that are connected thru red borders, while player 2 has all 28 remaining regions and is therefore gaining huge bonuses every turn, but cannot attack anything because of the blue borders? certainly rename CAI as airport. Re: Classic Cities: Cairo [28/9] Page 1/8 GP?? iancanton wrote: not so much a complaint as an observation. with any combination of 4 connected regions needed for a bonus, the open layout of this map, in contrast to vertex or austrum, makes the occasional large dropped bonus possible. Changed it to 5 connecting. Reduces the bonuses quite a bit but will help keep the games in play longer. Also, another thing with Vertex/Austrum, the odd bonus was dropped in the large multi region areas. Stopped this with the above but just in case, Islamic Cairo now has a neutral. iancanton wrote: have u considered the possibility of stalemate if player 1, who is losing and has no wish to attack, has garden city, fraggala and the 6 regions across the nile that are connected thru red borders, while player 2 has all 28 remaining regions and is therefore gaining huge bonuses every turn, but cannot attack anything because of the blue borders? Had not noticed that problem. Fresh eyes are always good. Made the borders near Haram red so that increases the count. Will also make (thought I had) the border between Giza and Kari Tuhmous red to allow the elimination. iancanton wrote: certainly rename CAI as airport. Also, a slightly new look to the map.